Bertsch Helena 4 Pavilion: The Bertsch Helena 4 Pavilion is a traditional Octagonal Large Gazebo Pavilion from Simply Log Cabins. 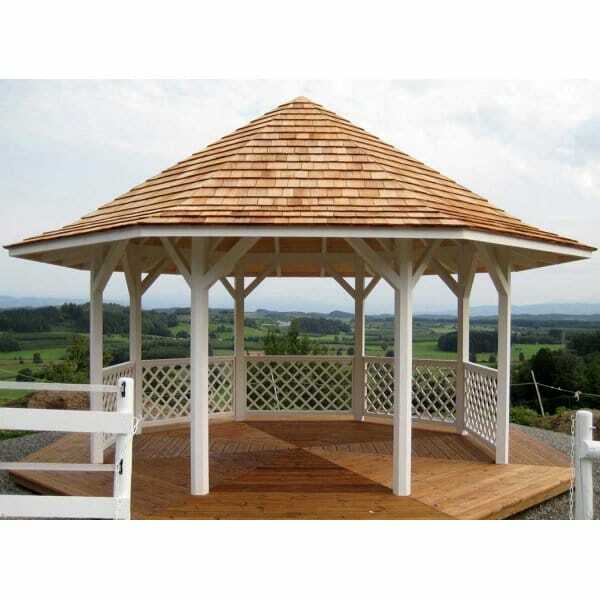 This Gazebo is ideal for Garden Furniture, for a Garden Seating area or simply as a focal point in the garden. The Helena 4 is 4m tall at the highest point and has a diameter of 4.5m providing a large octagonal covered space. Available from Simply Log Cabins.